In 2010, Brand South Africa collaborated with us on a multimedia report on the city making efforts, brand developments, and associated tourism and investment potential of the World Cup in South Africa. As South African cities were at the center of World Cup developments, the analysis of urban potential was vital. 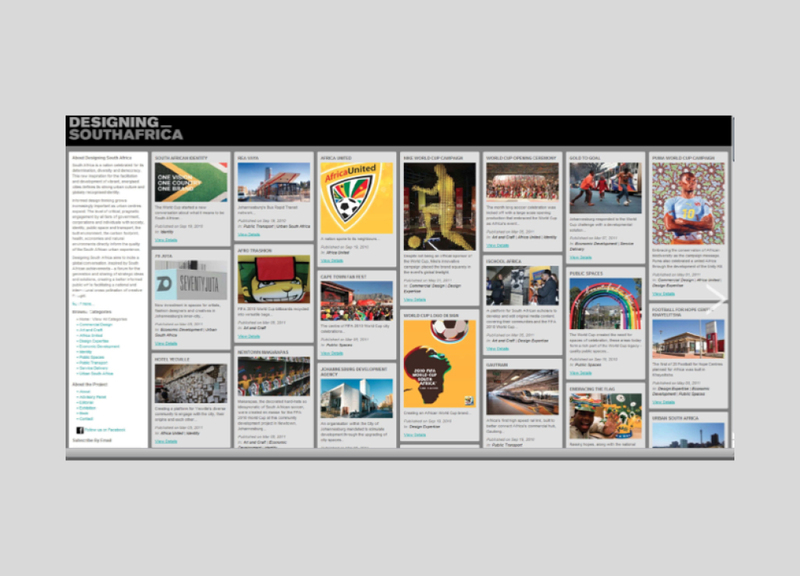 The City launched the online multimedia report at an event we organised at the Turbine Hall in Johannesburg on 22 September 2010. The launch was accompanied by two panel discussions on “Nation Design” and “Lessons Learned from the World Cup”, chaired by Richard Lapper, then bureau chief of the Financial Times.